A few weeks ago, I was on a hike to Sunset Peak when I ran into a few people at the top. We were pretty chatty and were discussion various hikes that we liked and they mentioned Silver Lake. 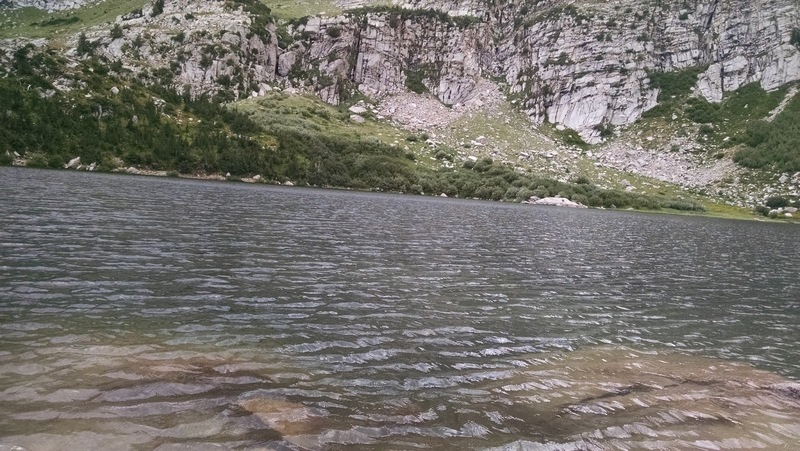 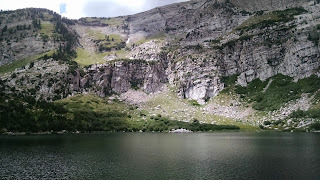 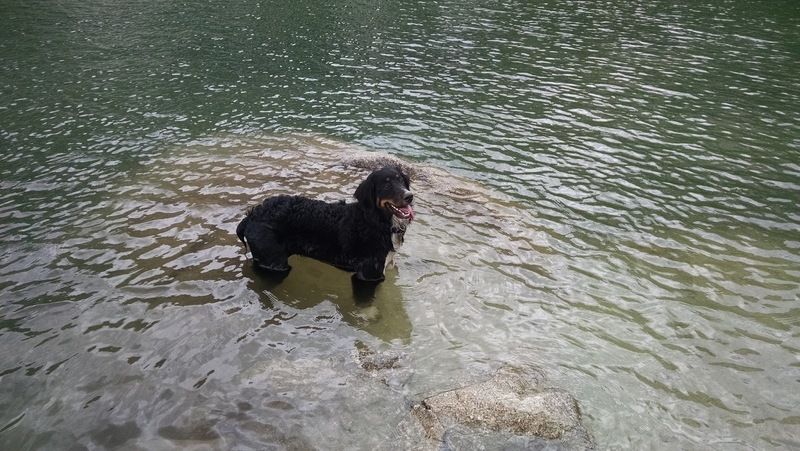 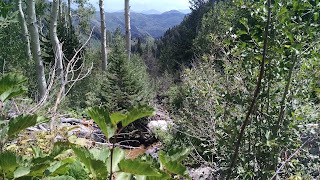 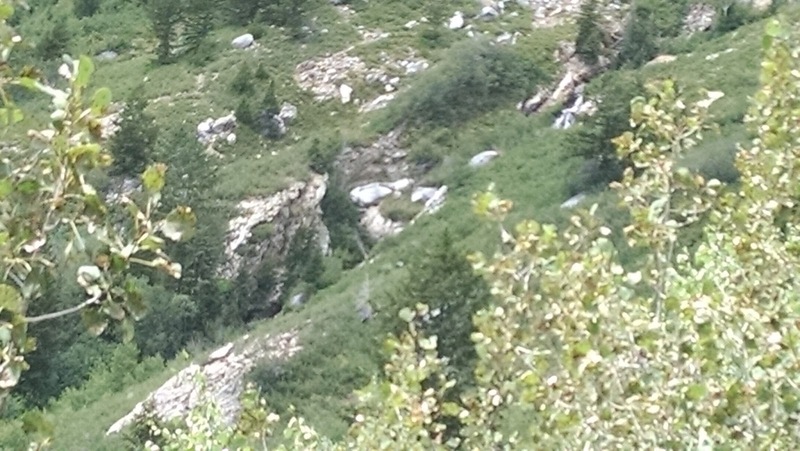 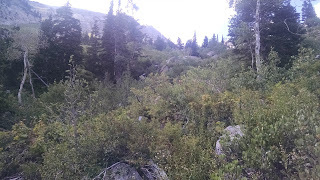 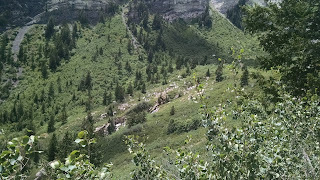 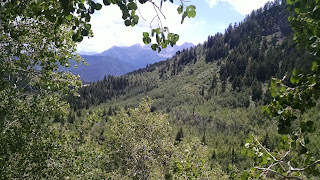 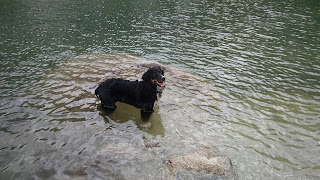 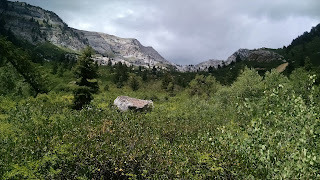 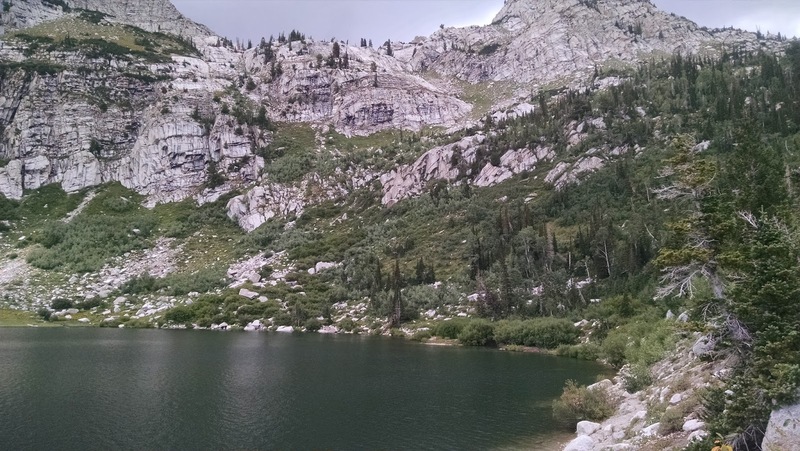 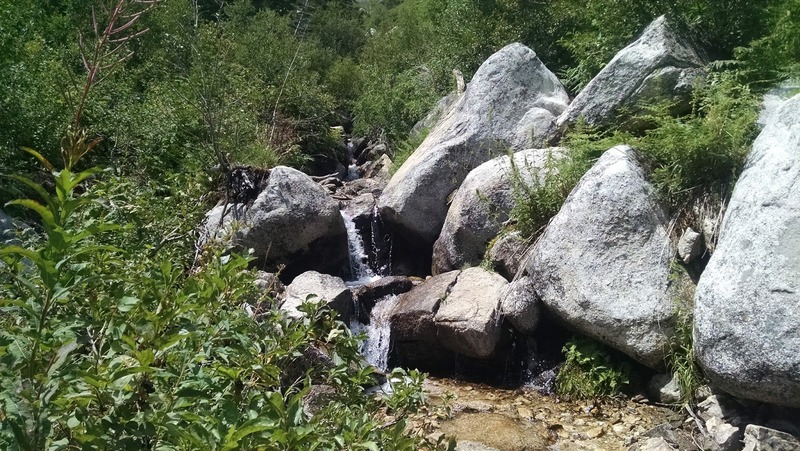 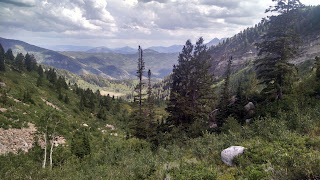 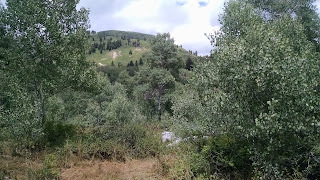 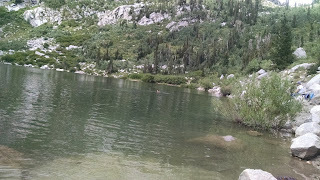 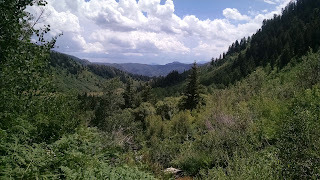 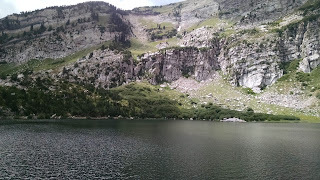 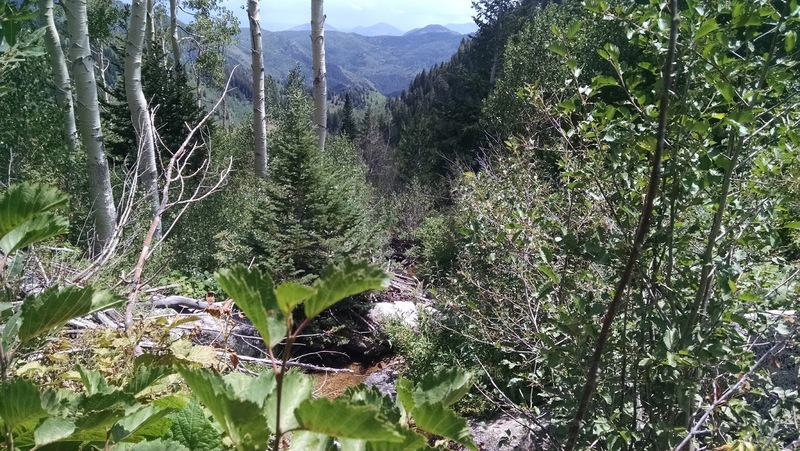 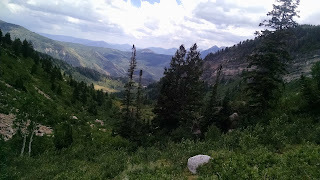 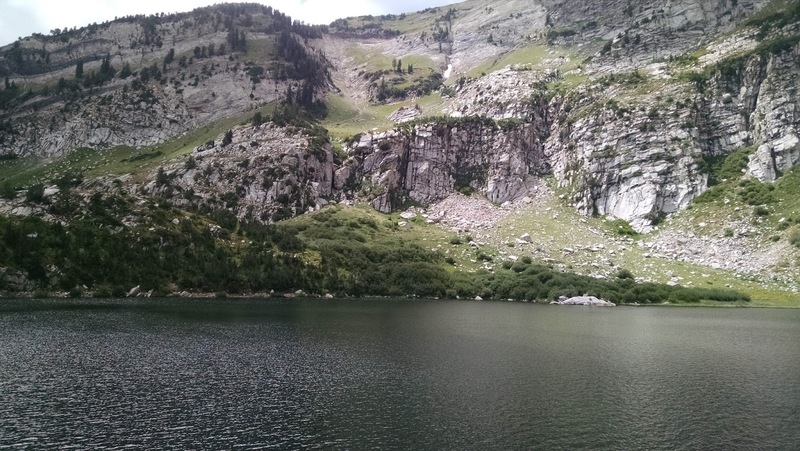 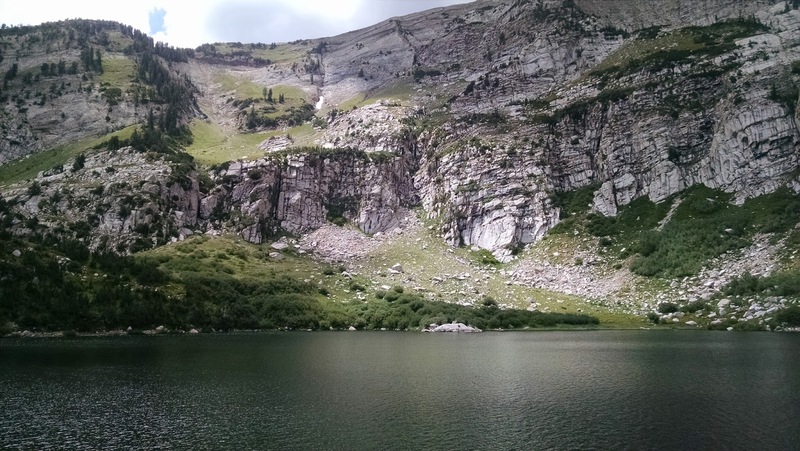 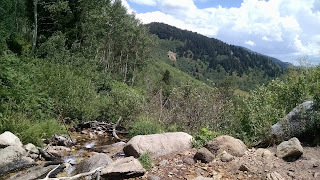 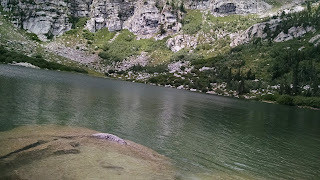 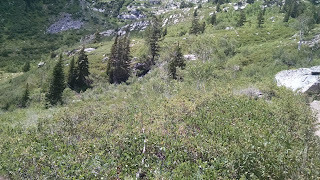 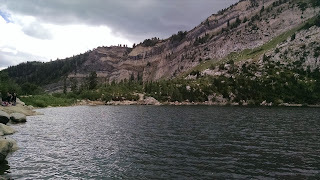 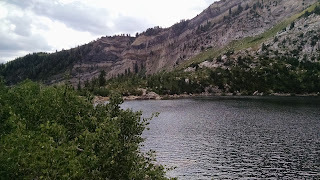 I said, I had been to Silver Lake -- at least the one in Big Cottonwood Canyon. 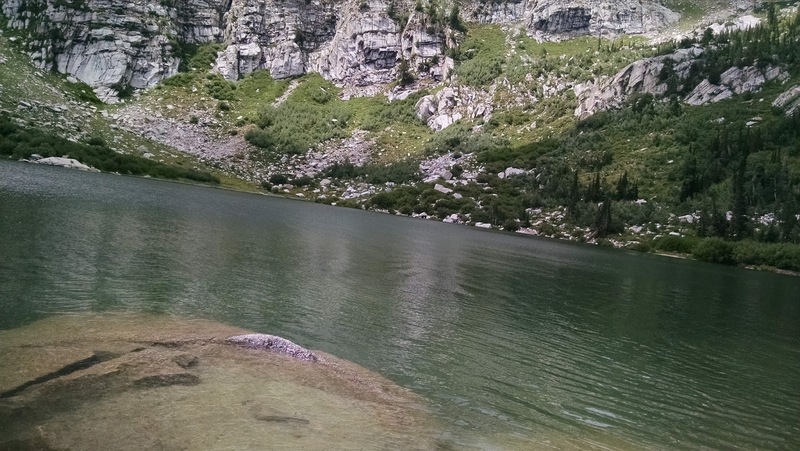 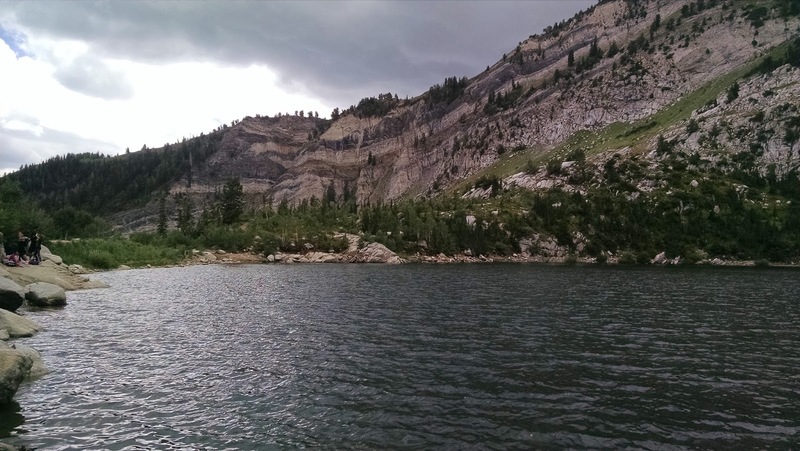 They explained to me that this lake was actually in American Fork canyon. 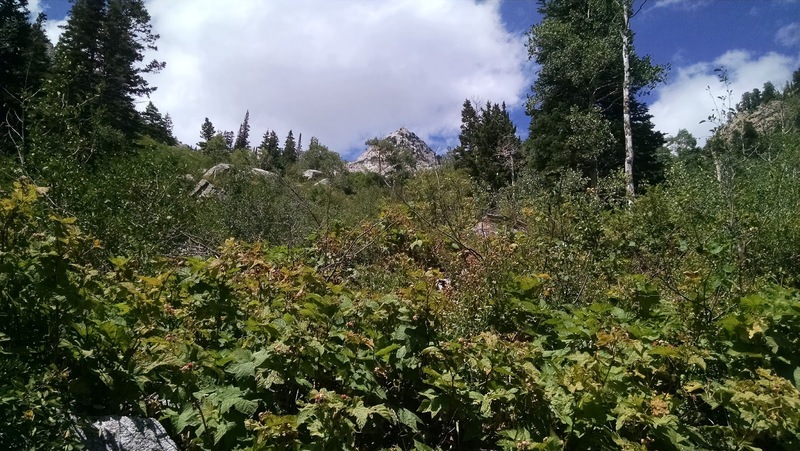 I was immediately intrigued as I have done most hikes that don't require a lot of effort and this one sounded short and sweet. 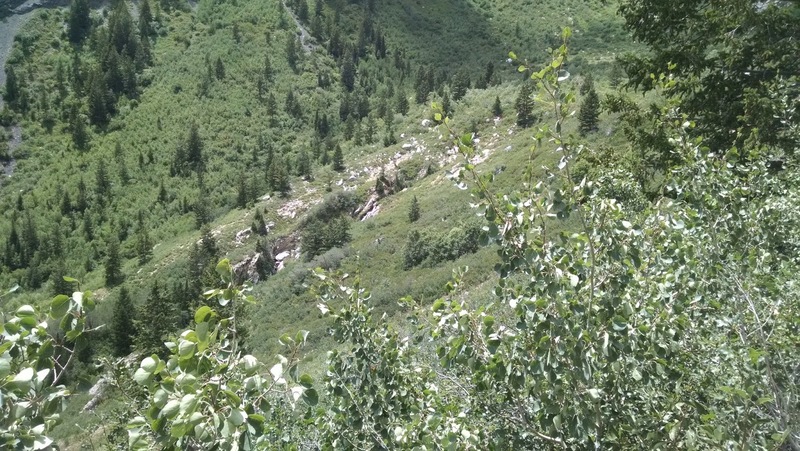 First off, the trail was pretty easy to find. 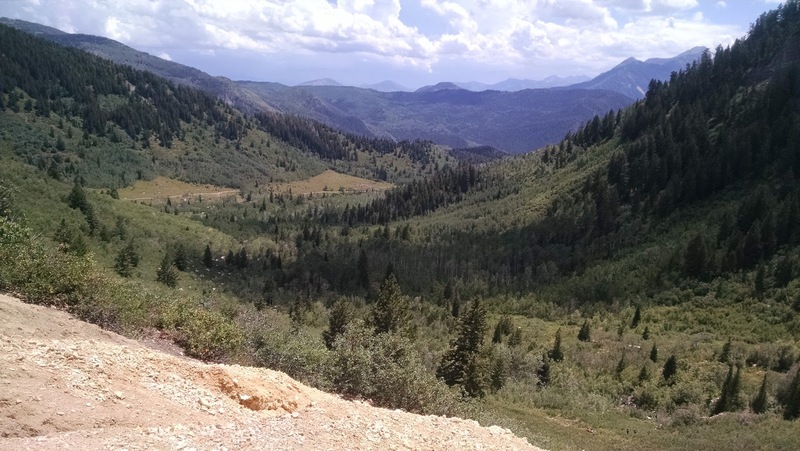 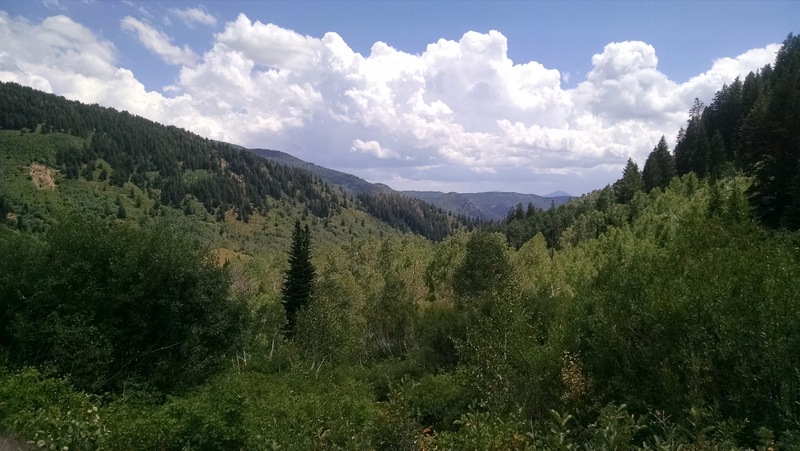 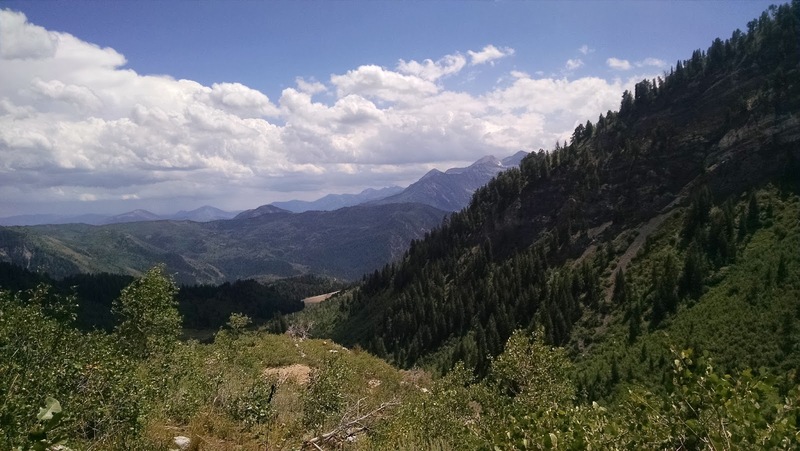 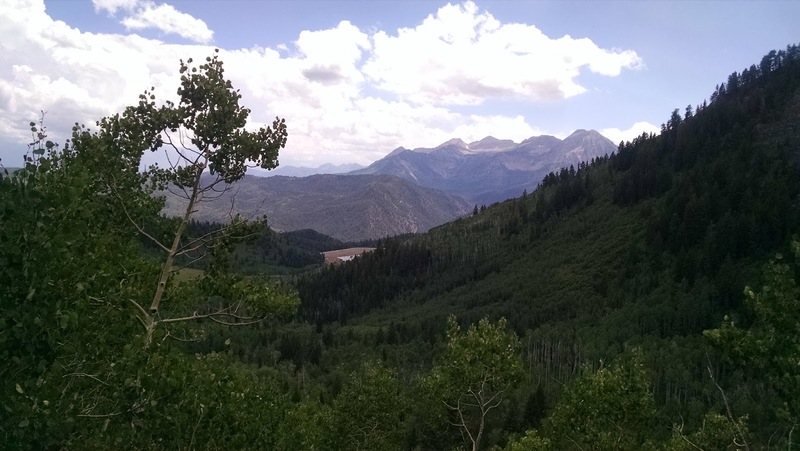 First off get to American Fork Canyon (State Road 192) and head east. Pay your $6 at the entrance and then continue to go east until you get to State Road 144. 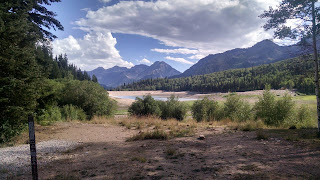 Follow 144 through until you get to a campground Tibble Fork Reservoir. 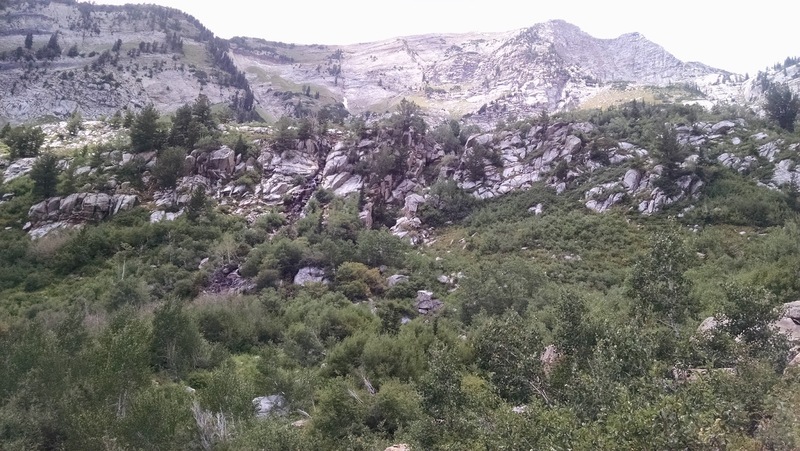 Go to the back of the reservoir and make a hard u-turnish left and follow that road until you come to Granite Flat Campground. 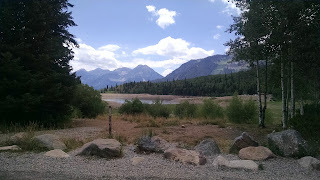 Do not go into the campground, but there'll be a dirt road that is manageable with a regular car if care is taken. 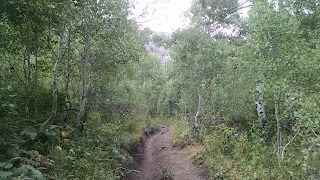 Follow this dirt road (which is on the right) until you get to Silver Lake Flat (pretty much where the road ends -- about 3 miles). 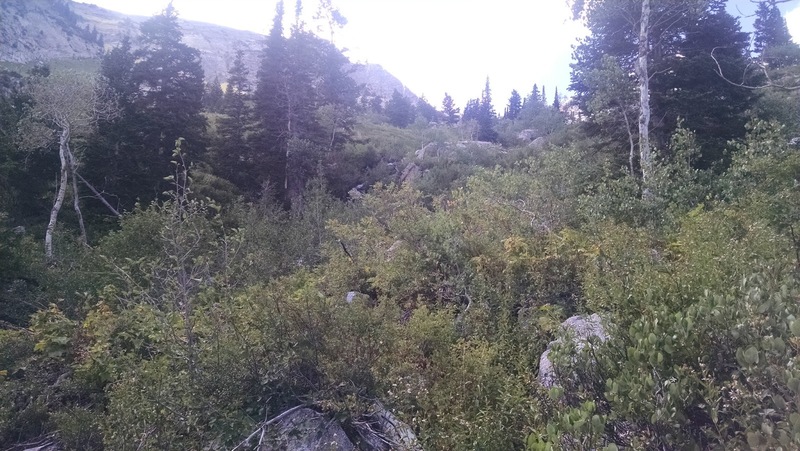 The trailhead will be next to the bathrooms (http://bit.ly/2bdaSXl) and Silver Lake Flat. 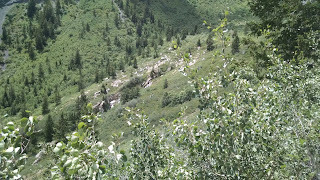 The first half of the trail is very gentle incline and easily runnable. 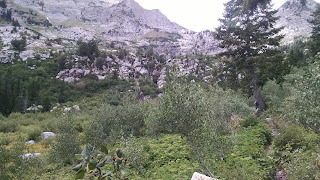 However, about half way through, the ascent gets a bit more strenuous and the trail becomes more rocky. 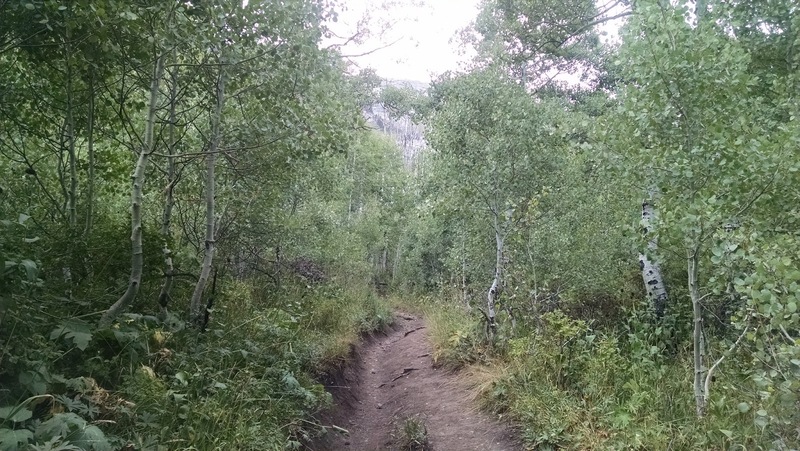 All said and done, though, this trail is easy and great for new hikers. 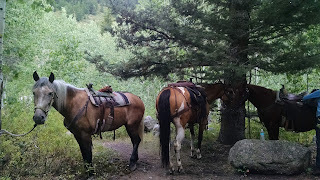 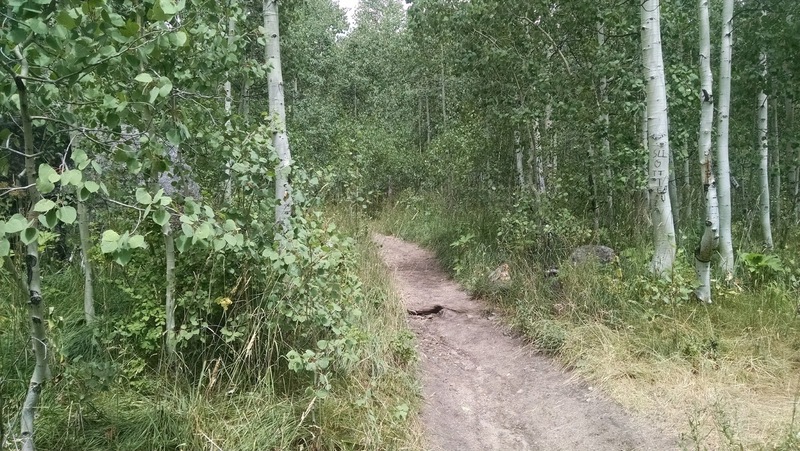 Most blogs suggest that the trail is 2.2 miles one way. 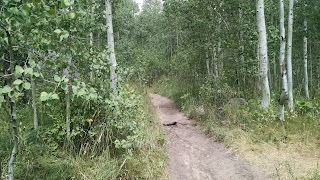 I felt it was a bit longer, but that is just my guess and until I get a Garmin on it, you'll have to assume it is 2.2 miles. 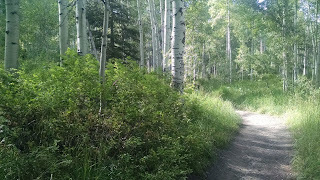 The trail is surrounded by trees and pretty well shaded. Given the area, I would think it would be ripe with moose. But I didn't see any on my trip. There were some people with horses and a lot of people brought their dogs to the lake. 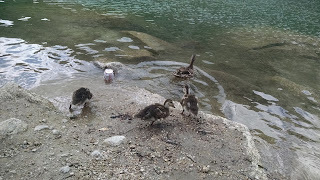 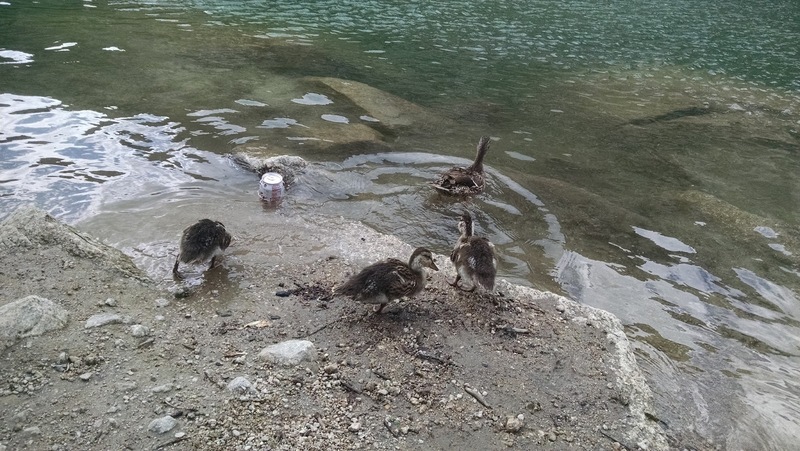 Also, the ducks were fairly aggressive at the lake -- I imagine they are used to being fed by hikers. 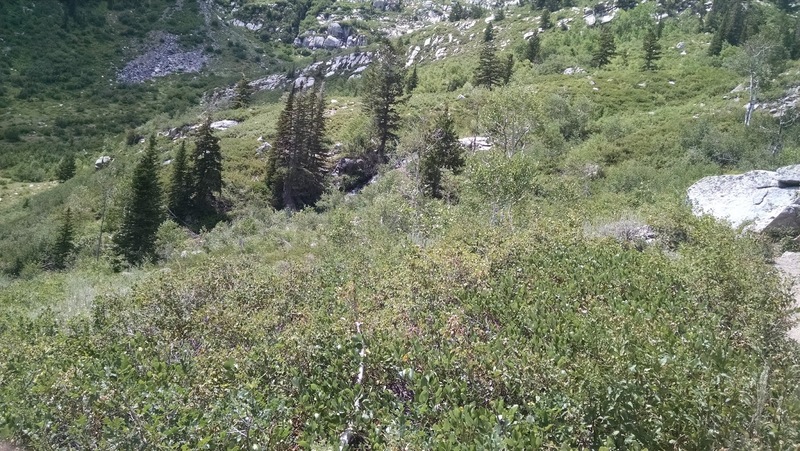 I really enjoyed this hike and again would highly recommend it to those who want a gentle hike with a large payoff at the end.